Renault were fast to develop a hardtop convertible car as the trend gained momentum. Their Megane Cabriolet also stood out in the market for using a glass roof rather the metal used by its competitors. If you wanted a glass roof convertible by any other brand you would have to spend 4 times as much on a Mercedes SL (even then it was an expensive option). The latest convertible Renault Megane keeps this key feature while improving on the dynamics of the car. 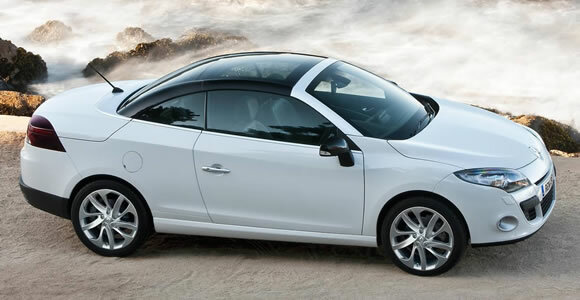 The company also moved into the small convertible car market with the sporty little Renault Wind.